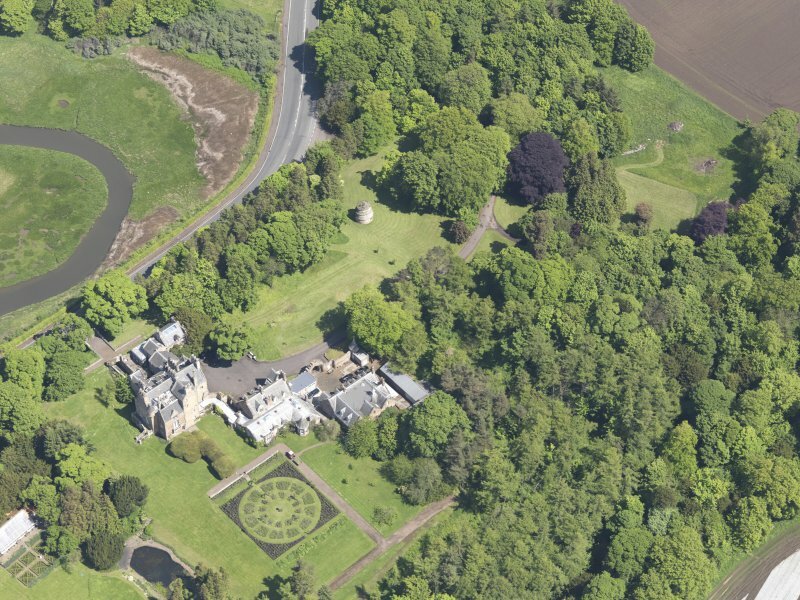 Oblique aerial view of house, gardens, stables and doocot from N.
Oblique aerial view of Luffness House, taken from the SW.
General view of the dovecot at Luffness House. 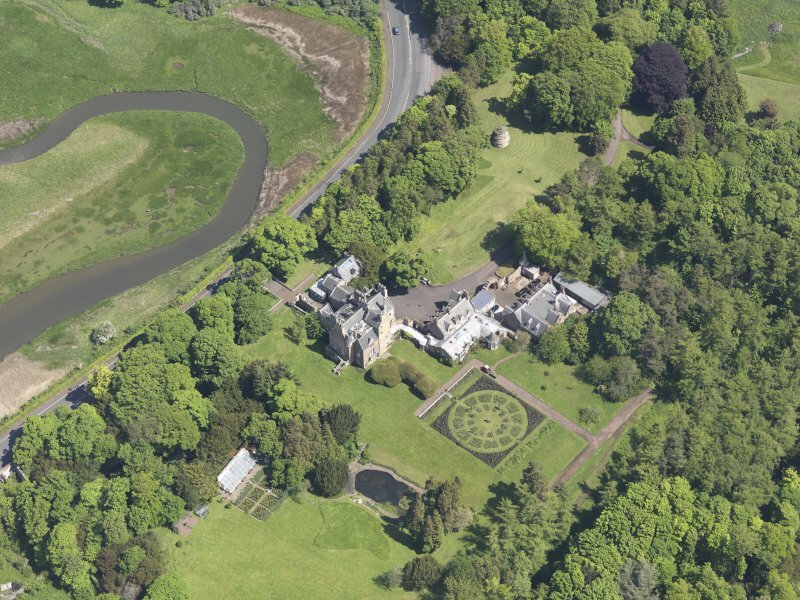 Oblique aerial view of Luffness House, taken from the SSE. 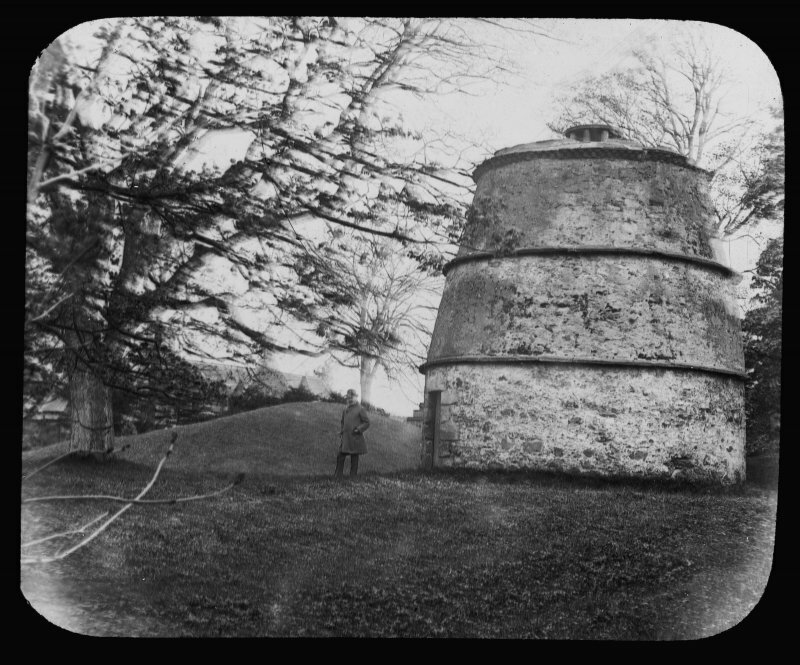 General view of the dovecot at Luffness House, with a male figure standing beside it. 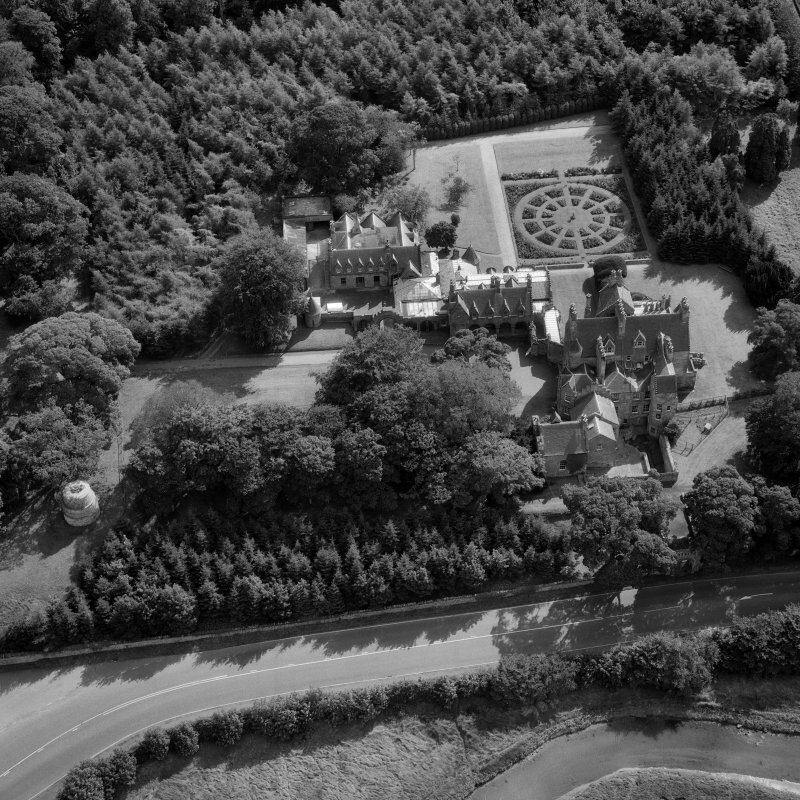 Oblique aerial view of Luffness House, taken from the SE. 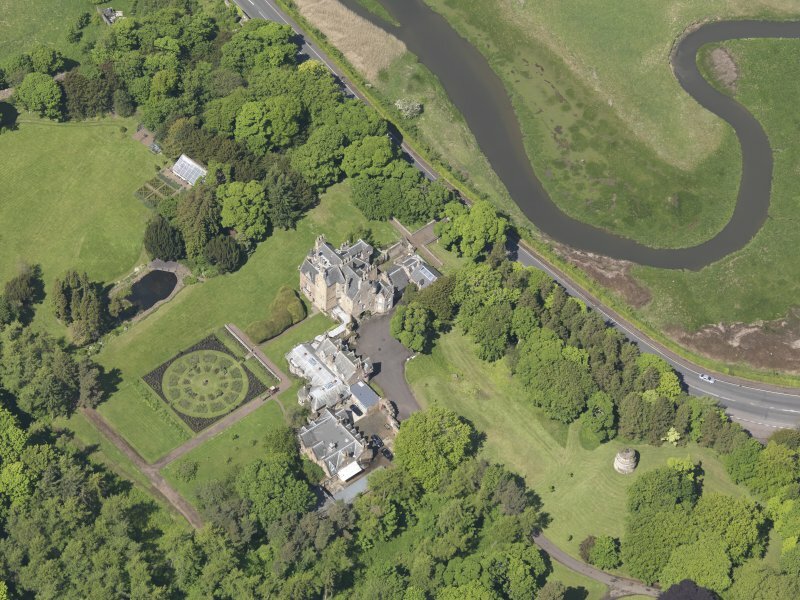 Oblique aerial view of Luffness House, taken from the S.
This fine late 16th century (J Whitaker 1938) dovecot stands in the grounds of Luffness House (NT48SE 1). 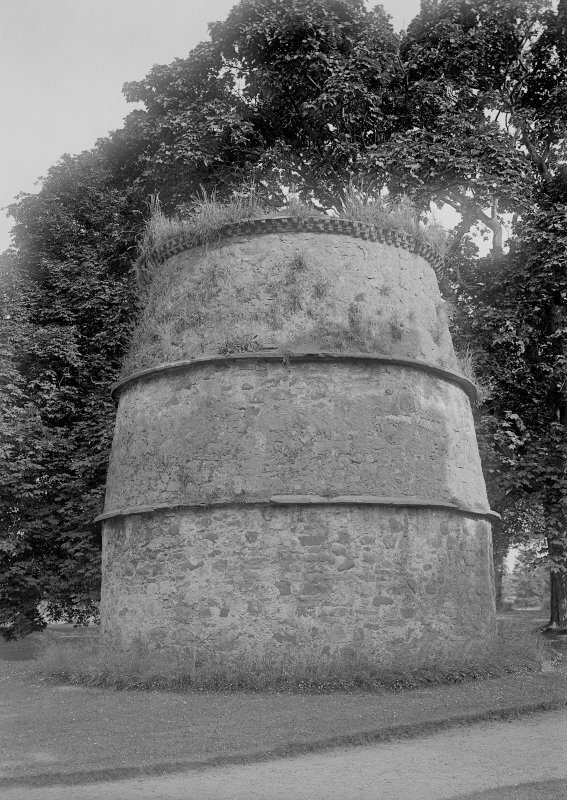 Circular in shape, it is 18ft high with walls 3ft thick. There are three string courses. 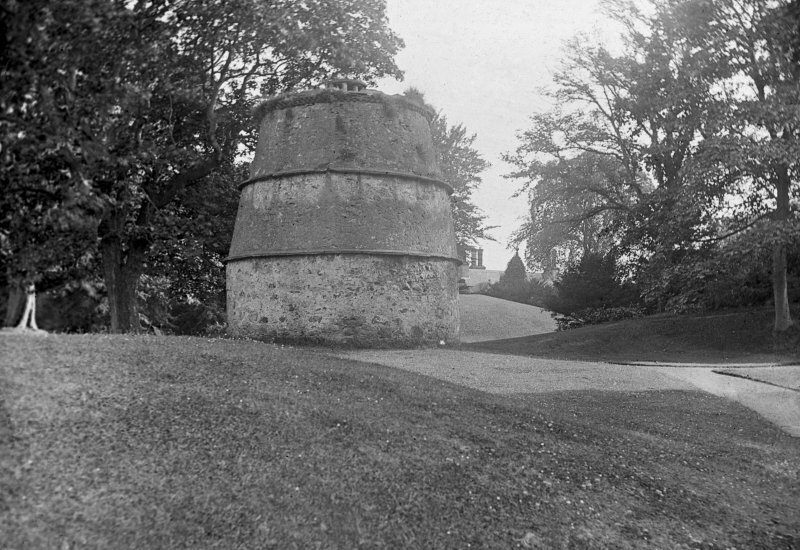 The lowest is about 6ft 6 ins from the ground, the next is equidistant and the third forms a rim round the flat roof. 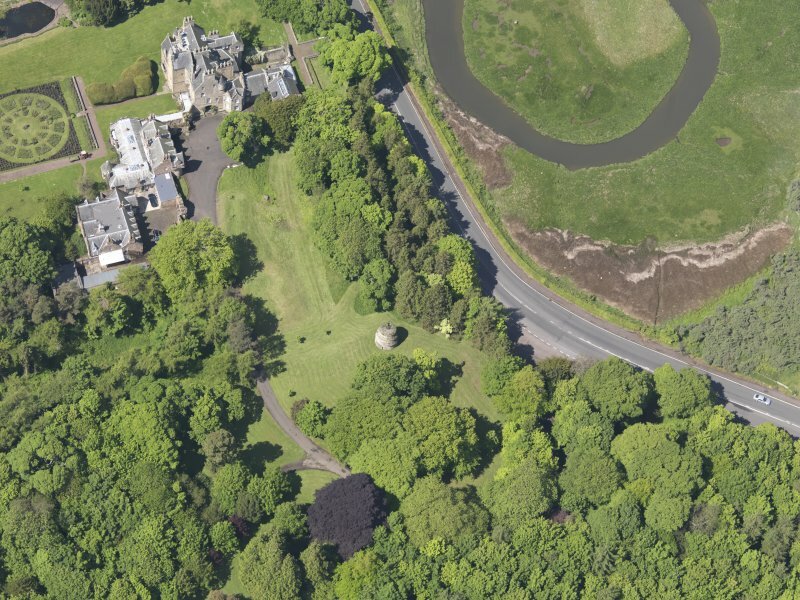 In the centre of the roof is a small circular lantern, the sides of which are pierced by eight entrance holes. In the interior there are 500 nesting places. 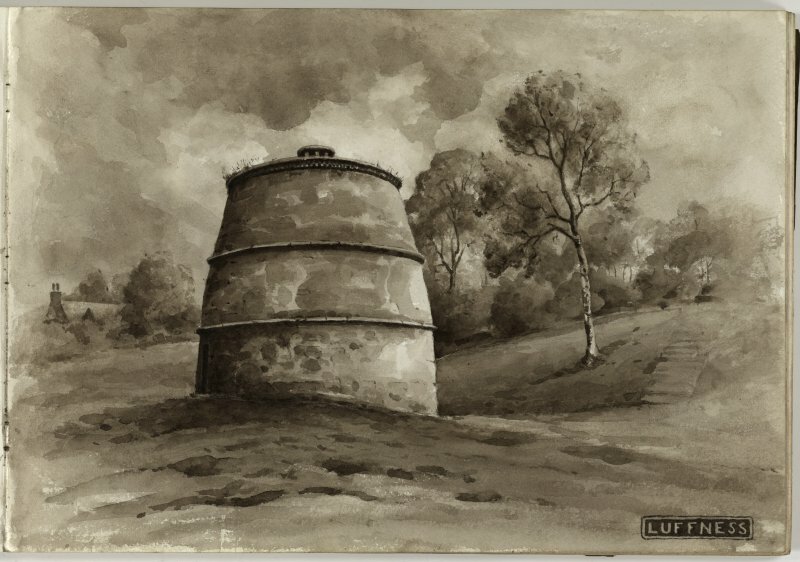 This dovecot is as described. 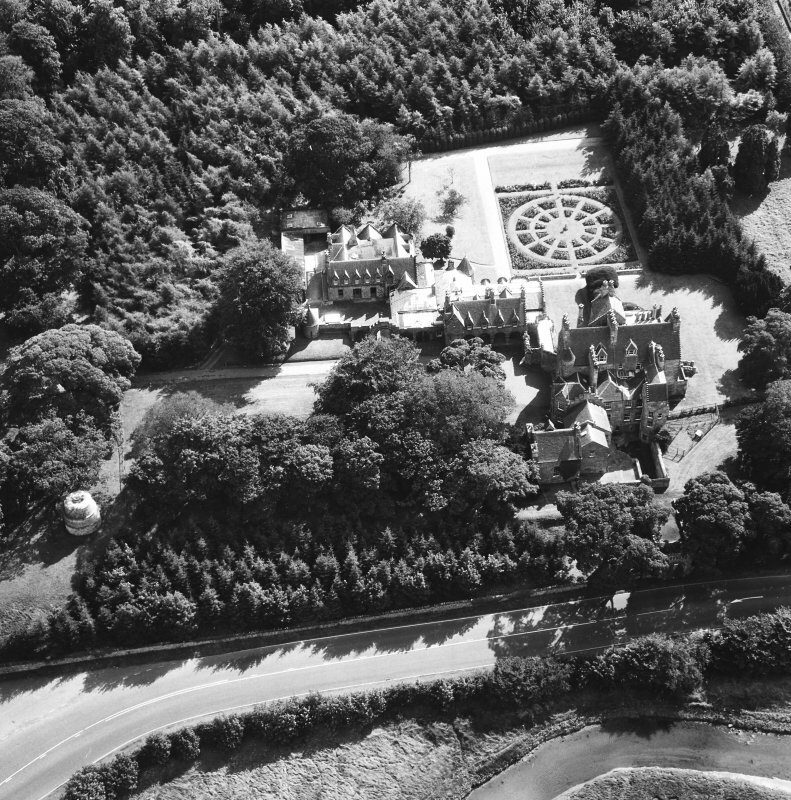 Visited by OS (SFS) 16 July 1975.